The courthouse in St. Joseph, Michigan is barring journalists from entering and reporting on court activities - except, of course, those from the Herald Palladium. The Michigan Citizen and Peoples' Tribune (peoplestribune.org) have both been turned away. Is the ACLU willing to get involved to right this wrong? NAACP? Not so far. Have we gone crazy as a society to allow this? It's been too many years of this geographically isolated community getting away with illegalities not heard of elswhere. When will the Department of Justice and other groups finally get involved? In case you have not read Phil Bassett's excellent piece of writing on Rev. 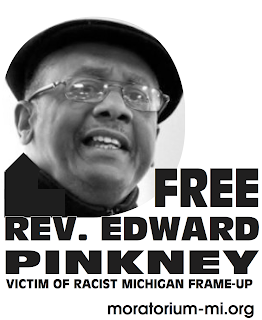 Pinkney, the trial he was framed for, and the coming retrial, it's posted on this weblog. Asking for money is always a humiliating endeavor. So, here goes. If everyone who signed the statement of support were to send Rev. Pinkney $100.00, it would make a dent in his $30,000.00 legal fees. Help take away the power of the St. Joseph-Whirlpool dominated group of elites who want Rev. Pinkney removed from their plate so they can, without exposure, continue to eradicate African-Americans from Benton Harbor and build up the lake front property for their own profit. Their plan is to ruin him financially, have him stressed to the max for months, then put him behind bars for at least 20 years. These are people without guilt, shame, or any feelings of humanitarian caring. They live in close proximity to severe poverty and order law enforcement to come down hard on those already suffering. The last thing they need is Rev. 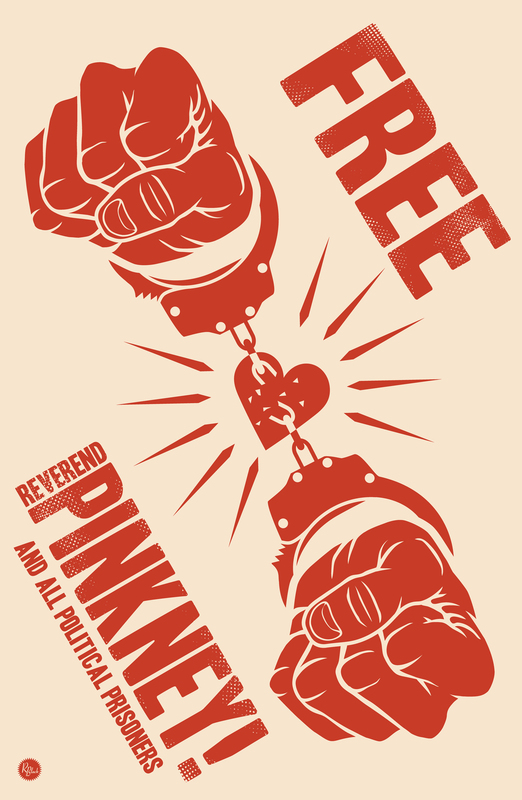 Pinkney shining a light on them. Pinkney has gone virtually everywhere one can go for assistance, but deaf ears are mostly what he finds - especially from Gov. Granholm's office. Whirlpool has a long reach. Read about the latest "good will" bestowed on the world by Whirlpool at the end of this email. It's come down to one person, Rev. Edward Pinkney, fighting one of the world's largest corporations, Whirlpool. He needs help. Send a tax-deductible check to: BANCO, 1940 Union St, Benton Harbor, MI 49022. BENTON HARBOR, Mich. (AP) - Whirlpool (WHR) said Wednesday that it will eliminate 4,500 jobs by closing three plants and consolidating corporate offices and other sites following its purchase of rival appliance maker Maytag. The moves come in the wake of Whirlpool's $1.8 billion acquisition of Maytag on March 31, extending its lead as the nation's biggest appliance maker. Whirlpool plans to close Maytag washer and dryer plants in Newton, Iowa; Herrin, Ill.; and Searcy, Ark. Laundry manufacturing sites in Clyde, Ohio, and Marion, Ohio, will absorb the production, Whirlpool spokesman Daniel Verakis said. Also slated to close are Maytag's corporate headquarters and research center in Newton, Iowa, as well as administrative offices in Schaumburg, Ill., Canada and Mexico.